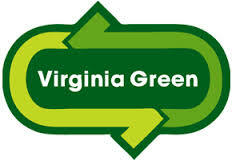 Virginia Green is the Commonwealth of Virginia’s campaign to promote environmentally-friendly practices in all aspects of Virginia’s tourism industry. Virginia Green has established “core activities” specific to each sector of tourism, and these practices are considered the required minimum for participation in the program. However, Virginia Green encourages its participants to reduce their environmental impacts in all aspects of their operations, and this profile provides a full list of all their “green” activities. These are the activities that guests/customers can expect to find when they visit this facility. The Yuengling Shamrock Marathon Weekend is a running event held over 3 days in Virginia Beach, VA. The event has 5 different distance events and a Sports and Fitness Expo. We have always had a green event. It is the right thing to do to protect our environment and the future of our country.